A gallery featuring pictures of microscopic invertebrates and plans stained with various dyes. We did the dying for a small scientific project related to staining method development. 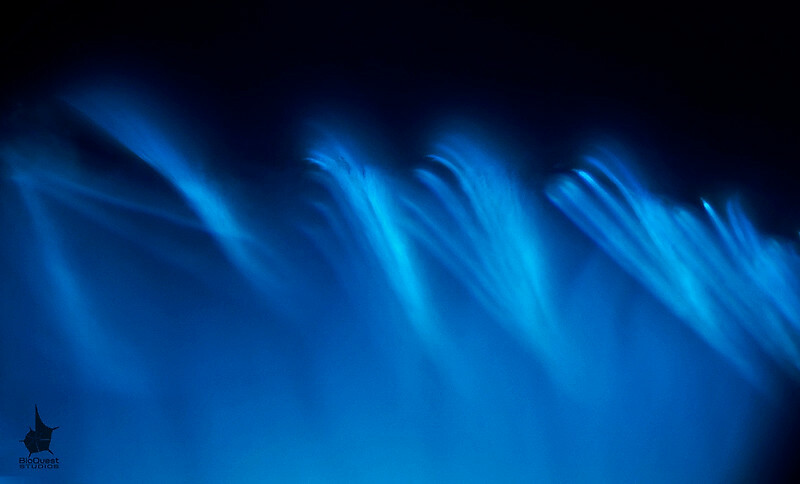 The image got a honorable mention in Olympus Bioscapes 2011 photomicrography contest. 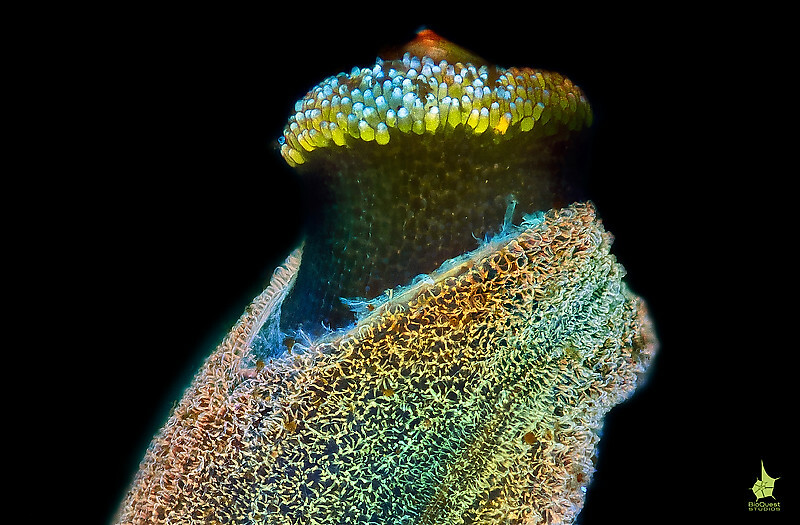 A small water flea under UV light. 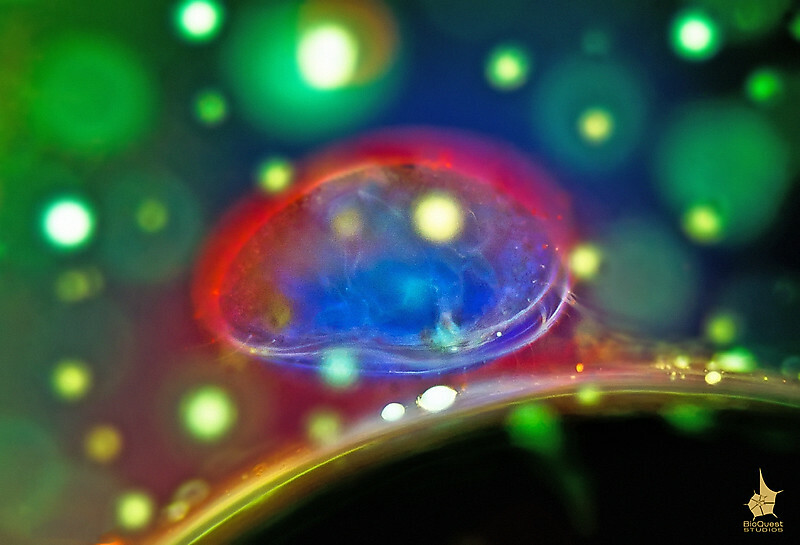 The object is stained with various fluorescent dyes and in addition it was immobilized in a fluorescent substance, hence the glow around the object. A small water flea (possibly Pleuroxus truncatus) under UV light. The object is stained with various fluorescent dyes and in addition it was immobilized in a fluorescent substance, hence the glow around the object. 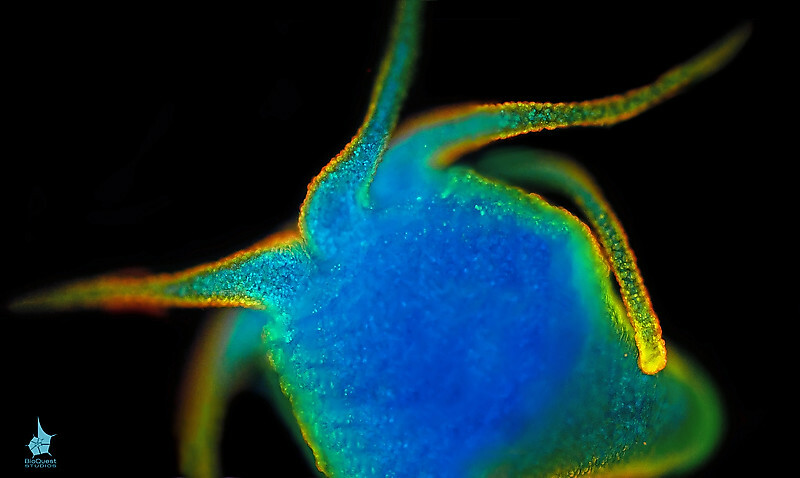 A hydra (Hydra viridis) stained with fluorescent dyes under UV light. Notice that orange color indicates increase of acidity on the surface. 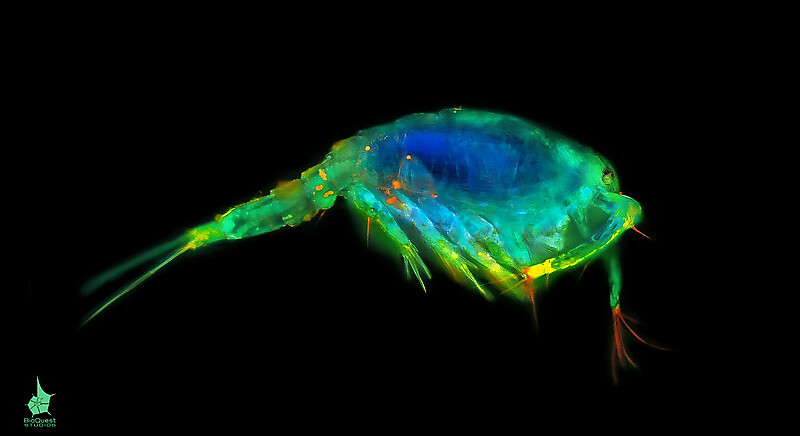 A freshwater copepod with fluorescent dyes under UV light. A freshwater oligochaeta stained with fluorescent dyes under UV light. 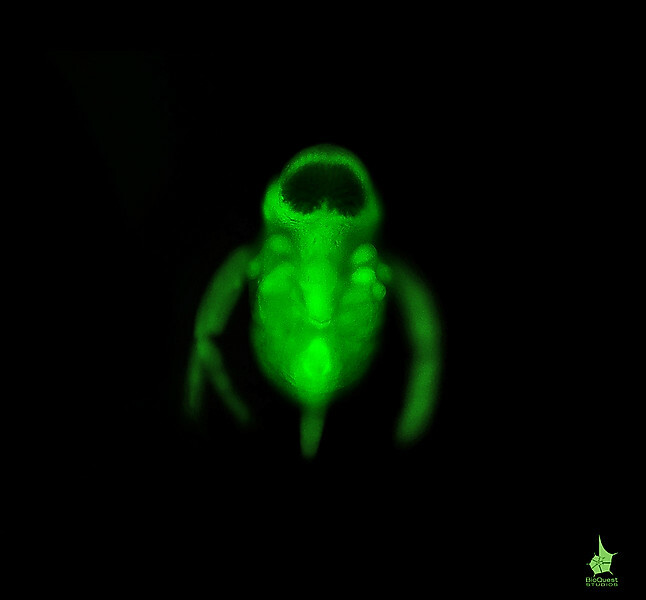 The surface has a green glow and individual cells are visible upon closer inspection. A freshwater worm (oligochaeta) setae under UV light. Worms use setae in many ways, including for locomotion. 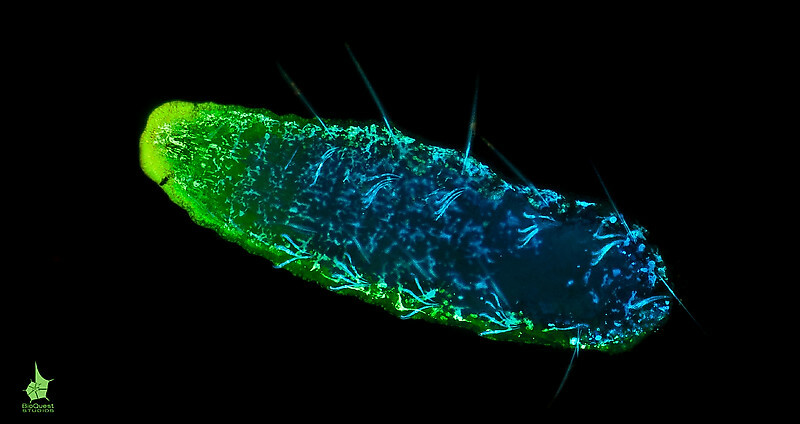 The fluoresence here is observable due to stains with which the worm was treated. 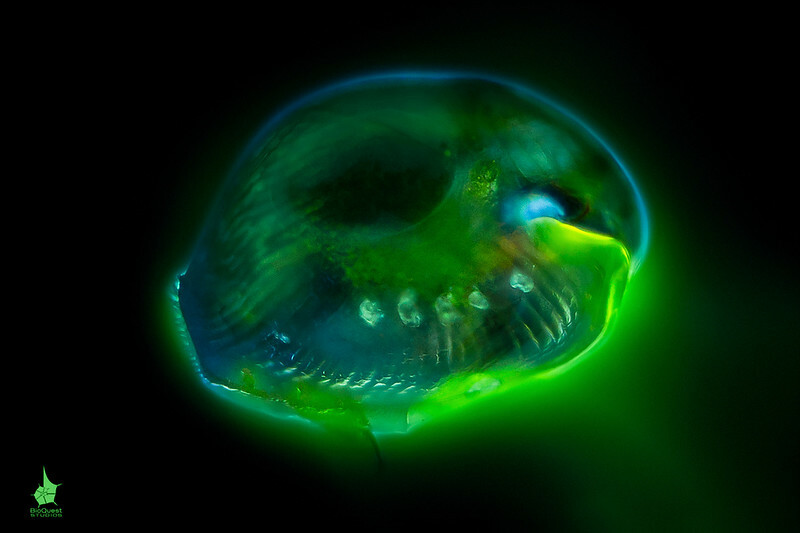 A baby of Polyphemus pediculus (water flea) under UV light. 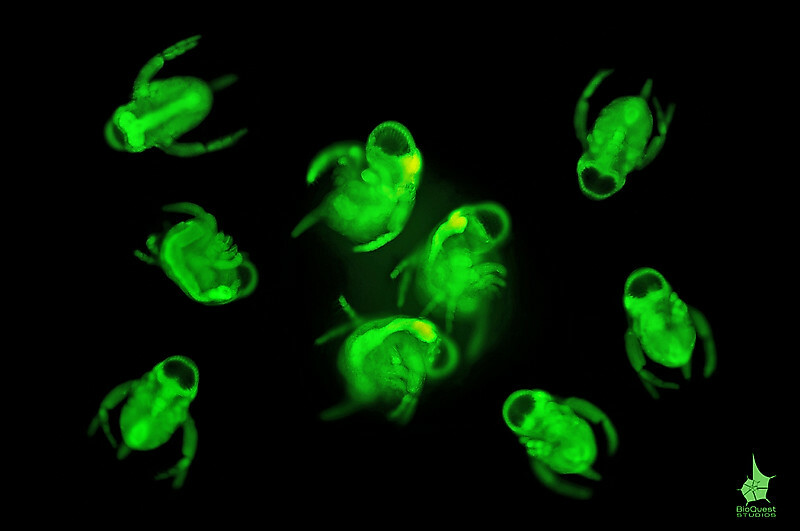 Babies of Polyphemus pediculus (water flea) under UV light, though the animals look undeveloped, a lot of them swim around in water where adults live. The image is a composition of 3 pictures. 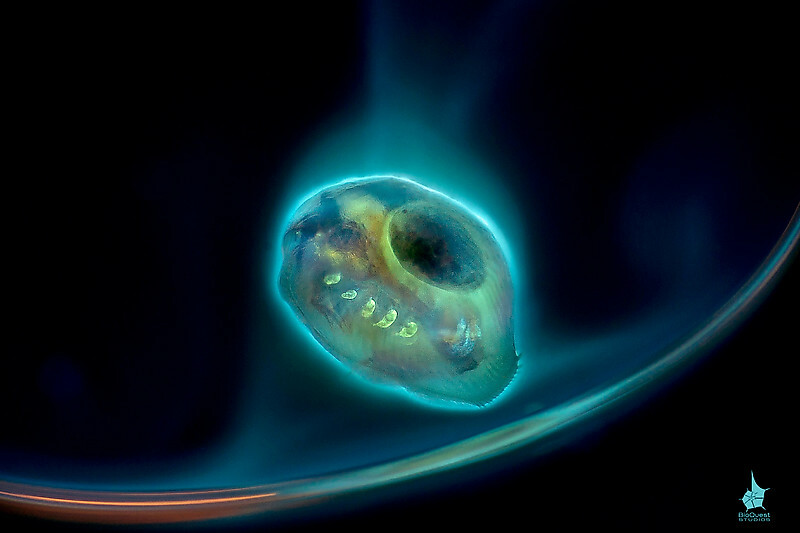 An ostracod under UV light. The object is stained with various fluorescent dyes.